A lot of users want to use the Acrobat Preflight functionality as well as the high number of additional tools from pdfToolbox simultaneously. 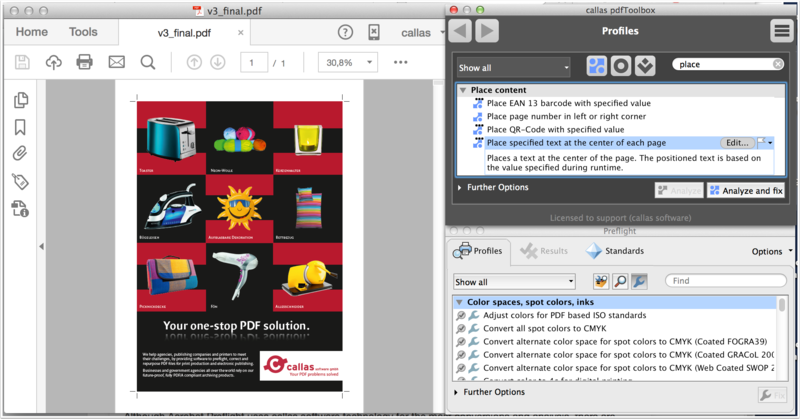 This tutorial explains, how this parallel usage of Acrobat Preflight (a development of callas software, which has been integrated by Adobe as a part of Adobe Acrobat Pro since 2003) and callas pdfToolbox works. 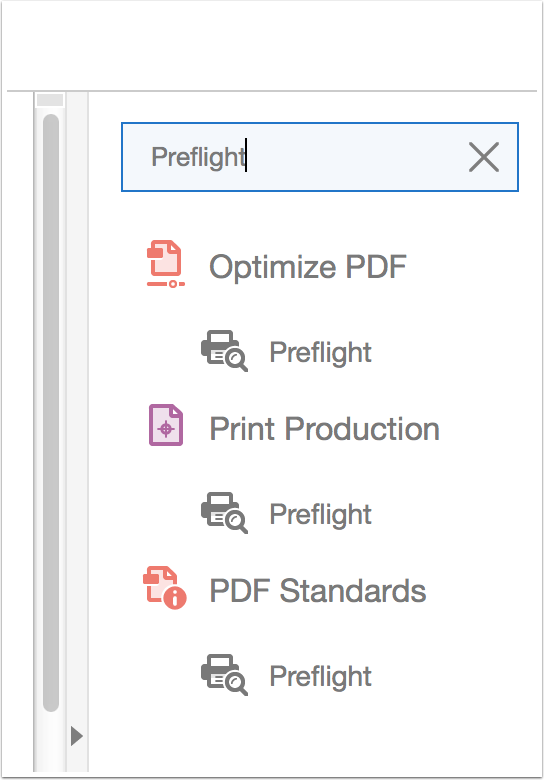 The Preflight functionality in Acrobat Pro can be found using the "Tools" sidebar for example or with the shortcut "CMD, Shift + X" (in MacOS) or "CTRL, Shift + X" (using Windows). Using the pdfToolbox installer, a Desktop version and a Plug-In for Acrobat Pro will become installed (the latter of of course only if Acrobat Pro is installed on the respective system). 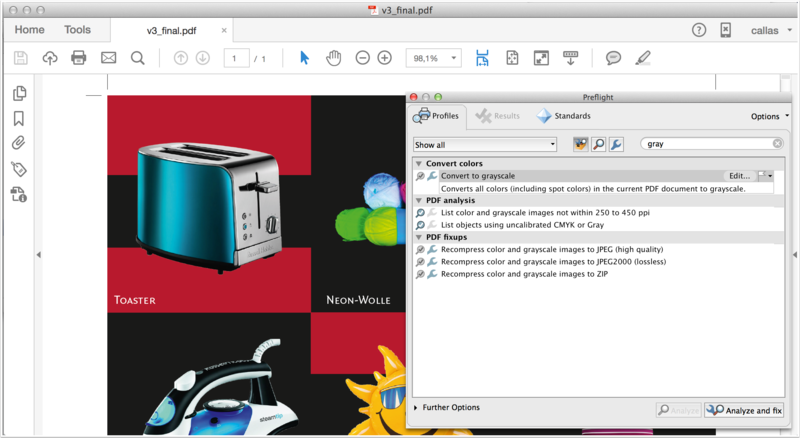 pdfToolbox can be found using the "Plug-Ins" menu or within the "Tools" sidebar. A click on the "pdfToolbox Profiles" entry opens a window with a number of predefined Profiles, Checks and Fixups (as well as ProcessPlans). 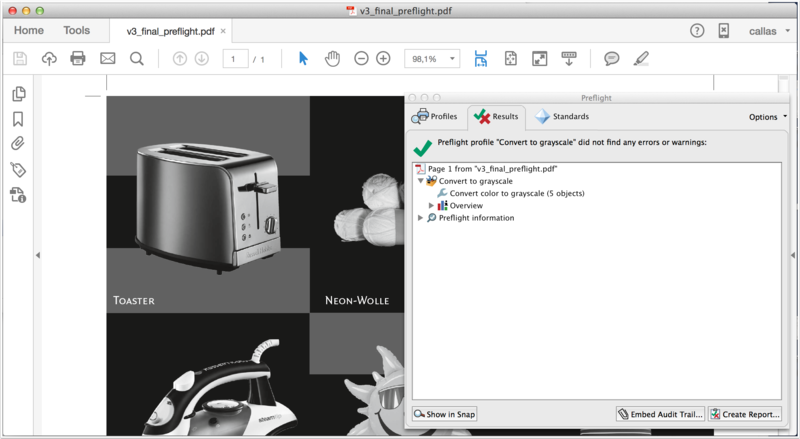 You will notice that the Preflight Profile window looks quite similar to the one of pdfToolbox. 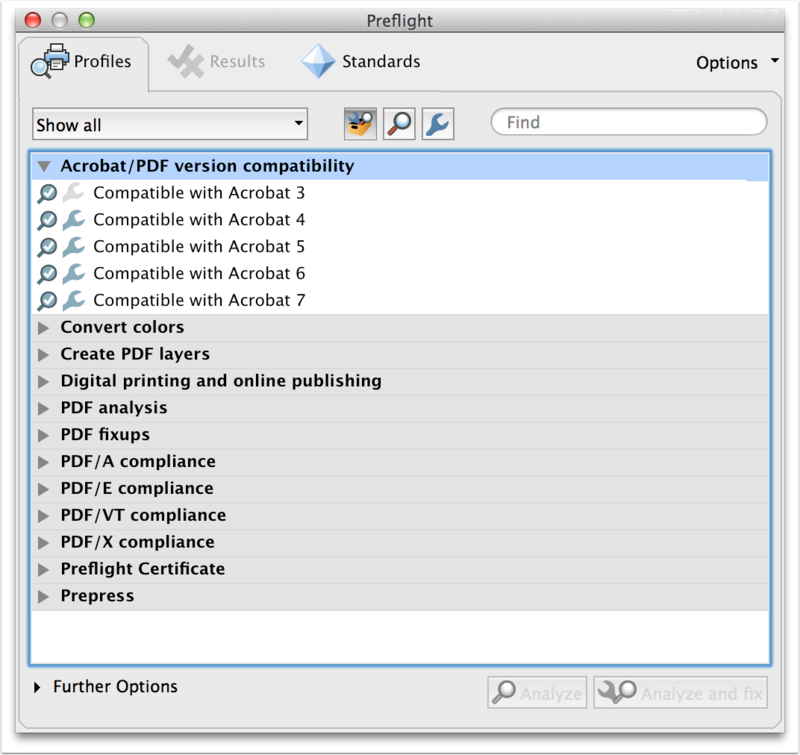 Why using pdfToolbox AND Acrobat Preflight? In general, pdfToolbox has a more frequent update interval than Acrobat Preflight. 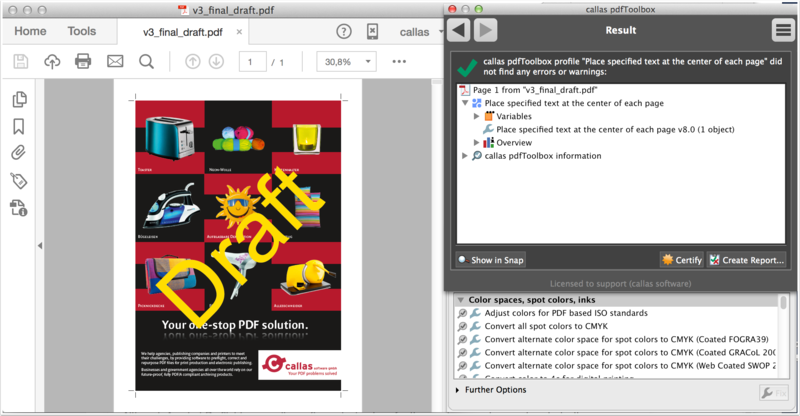 You can use Acrobat Preflight and callas pdfToolbox Plug-In in parallel. 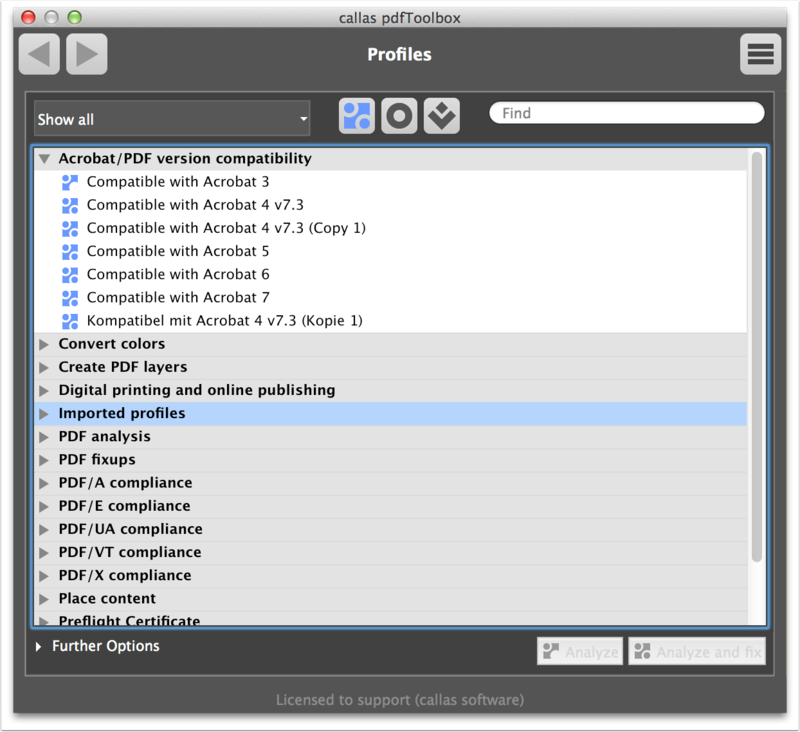 Using the pdfToolbox Plug-In allows to use pdfToolbox-only features like placing custom content using a Fixup.